LANCASHIRE – Ohana Topical Patches, a Lancashire company known for producing all natural vitamin product range has expanded its product range by introducing anti-hangover patch. The firm said it has decided to launch this anti-hangover aid due to its high demand in the market. In the UK, various types of patches had been launched earlier this year to help people recover from health problems. The other patches which are launched by the company are a sleep aid, Vitamin D patches. Now, the total range of patches launched by the firm has reached a value of 10. These patches are very helpful to those who face difficulty in taking pills. Also, these products absorb slowly into the body and release the nutrients for a period of eight hours. The medical adhesives ensure the sticking of these patches on the skin throughout day and night. Peter Love, the owner of the company, Ohana Topical Patches has been known for supplying the vitamin patches across the UK. It was his mother’s illness which prompted him to think of using something as patches to send drugs into the body. He opened his firm by giving up his 18-year-old successful property business in Lancashire. 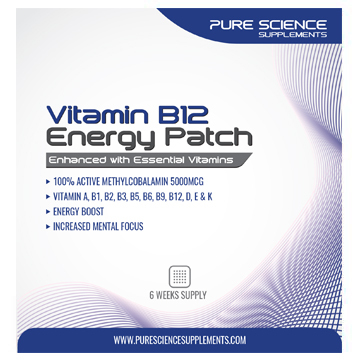 Peter said that these vitamin patches offer many health benefits. Some of the benefits are ease of use, comfort, steady time-release delivery and long storage life. Hangover patches are applied before alcohol consumption and these patches help to reduce the symptoms of a hangover. Also, these patches help to deal with the inability to sleep. Ohana Topical Patches also contain vitamin as well as supplements formulas which are available without a prescription.